Statistically speaking, over 70% of adults are known to experience digital strain at one or another point in their lives. At the same time, in a digital era like this one inhibiting your screen usage is close to impossible. After all, living life in the fast lane requires some sacrifices, right? Actually, the answer is no. With technology paving way for new inventions every day, the manufacturers at Phonetic Eyewear have come up with a simple and stylish solution to protect user’s eyes from harmful blue light UV radiation! The Computer Glasses by Phonetic Eyewear are built with top of the line reflective lenses that don’t allow blue light from hitting the eyes! At the same time, the lightweight yet stylish frame is robust and works well for both college students as well as professionals in office environments. 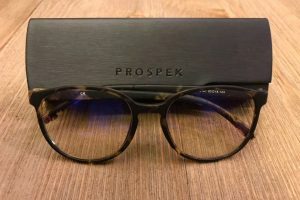 Perhaps the best way to describe this pair of glasses is by looking at its specs which are specifically added for individuals that are plagued by prolonged screen usage! Digital glasses for the digital era; the Computer Glasses by Phonetic Eyewear Bravo are built to counter the digital stress on the eyes of individuals that are exposed to the harmful blue light emitted by different digital screens. It features a fashionable, ocean blue with navy stripes durable frame made to last a life time! The Rx quality frame is made with the TR-material which is known for its flexible and robust nature. Its unisex design is not only appealing to the next-door college student but works well in professional office environments as well. The square shaped TR-90 frame is known to self-adjust to fit different shaped faces ranging from round to heart without causing discomfort around the temples or forehead area. The soft nose pads release pressure without leaving marks even after prolonged usage. Perhaps the best feature of the Computer Glasses by Phonetic Eyewear is the top of the line unique lenses! 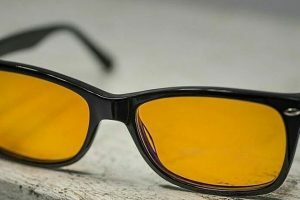 Unlike other companies that make digital glasses with tinted lenses for absorbing blue light, lenses made by Phonetic are meant to deflect it! 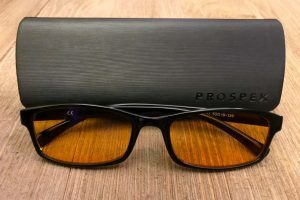 Furthermore, the clear lenses are more visually appealing and a hard coating over prevents them from getting scratched if they come into contact with any other surface. These anti-glare, reflective 1.56 index lenses make sure the users eyes not only stay protected throughout usage but also add a beautiful touch to their overall style! Prescription class lenses of 1.56 index. Included in the packaging is a neoprene case with microfiber cleaning cloth that doesn’t scratch the lenses. The clear lenses block 99.9% of UV blue light. The lenses front part deflects the blue light rays. The square frame adjusts to all face shapes. Doesn’t come with magnification feature. Unlike other digital eye wear, the Computer Glasses by Phonetic Eyewear Bravo utilizes technologically advanced specs that ensure better performance and safety for the user’s eyes! For instance, when compared to the Cyxus Blue Light Filter Computer Glasses; another famous brand in digital eyewear, the Computer Glasses by Phonetic Eyewear score much higher on multiple tangents. For starters, the Computer Glasses by Phonetic Eyewear are built to deflect the blue rays via the front of the lenses thus completely preventing them from hitting the eyes. On the other hand, the Cyxus Blue Light Filter Computer Glasses cut the blue UV rays hence acting like a filter to make sure these harmful rays don’t directly hit the eyes. 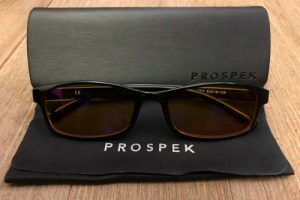 Consequently, in terms of longevity of the frame as well as the lenses, the Computer Glasses by Phonetic Eyewear are built with the robust TR-90 material along and feature a hard coating on the lenses hence prolonging their life span. However, the Cyxus Blue Light Filter Computer Glasses don’t come with any such features and may break down if flexed too far or tried to adjust on face shapes that don’t match the given dimensions of the frame. 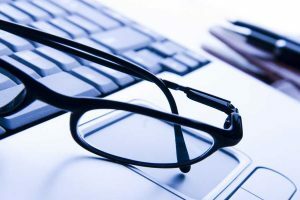 While both pairs of computer eyewear and made to block harmful blue light rays, the only difference between their performance lies in how this function is achieved. One deflects the harmful rays while the other filters them out. Bottomline; both are effective models in achieving the intended purpose which is to protect the eyes and prevent strain. Hence, the right pair of digital eyewear depends on your design preferences and general usage. The Computer Glasses by Phonetic Eyewear are sturdier and can withstand light to mild force, while the Cyxus Blue Light Filter Computer Glasses feature a delicate frame which is susceptible to breakage easily. Consequently, if you are looking for a retro stylish frame, then it is a good idea to opt for the Computer Glasses by Phonetic Eyewear Bravo as it features an ocean blue with navy stripes frame. In this digital age, one of the major health concerns revolves around the continuous use of screens. 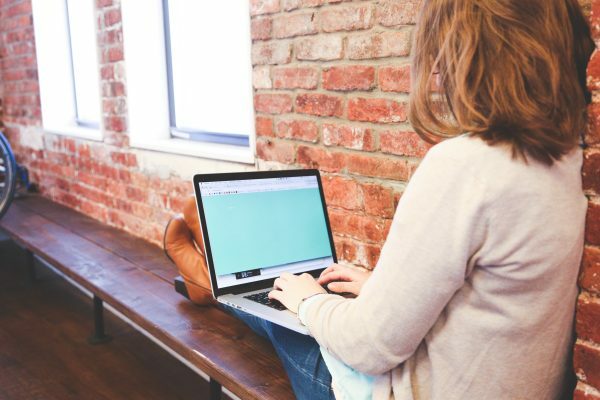 While we can not completely stay away from screens, we can at-least find a way to protect ourselves from the high frequency UV blue light rays which not only put a lot of strain on our eyes but is said to have detrimental effects on our sleep as well. The Computer Glasses by Phonetic Eyewear provide users with a simple and stylish solution! Blue light UV rays are said to put a lot of strain on the users’ eyes which ultimately translates into stress, fatigue, sleep problems and headaches. Constant usage of screens in less lit areas can also cause eye sight to reduce! 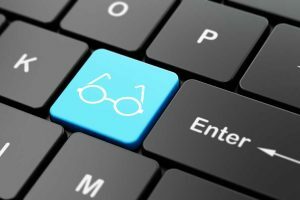 Therefore, investing in a durable and light weight set of computer glasses can go a long way in ensuring overall health! 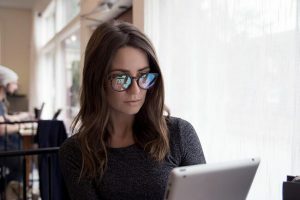 For all of you concerned about the long-term effects of constant exposure to blue light rays, The Computer Glasses by Phonetic Eyewear acts as a protective barrier between screen usage and your eye’s health. What’s your experience with Phonetic Eyewear?